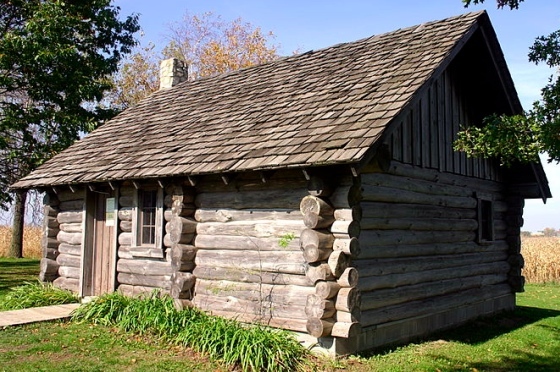 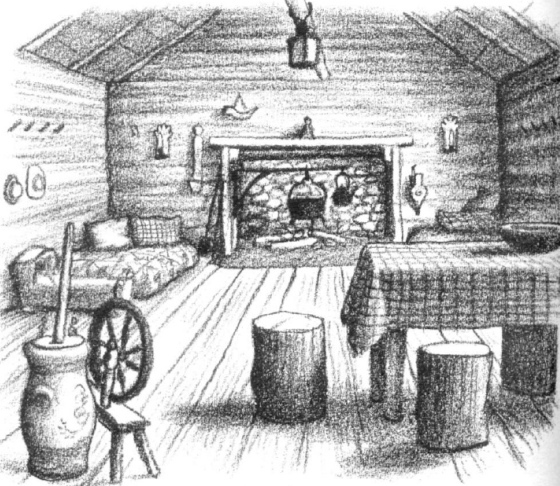 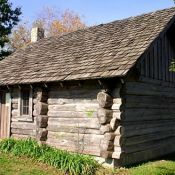 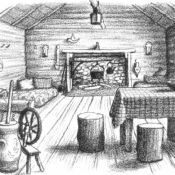 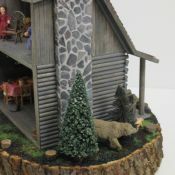 This half scale log cabin is my interpretation of the one in Laura Ingalls Wilder’s Little House in the Big Woods. 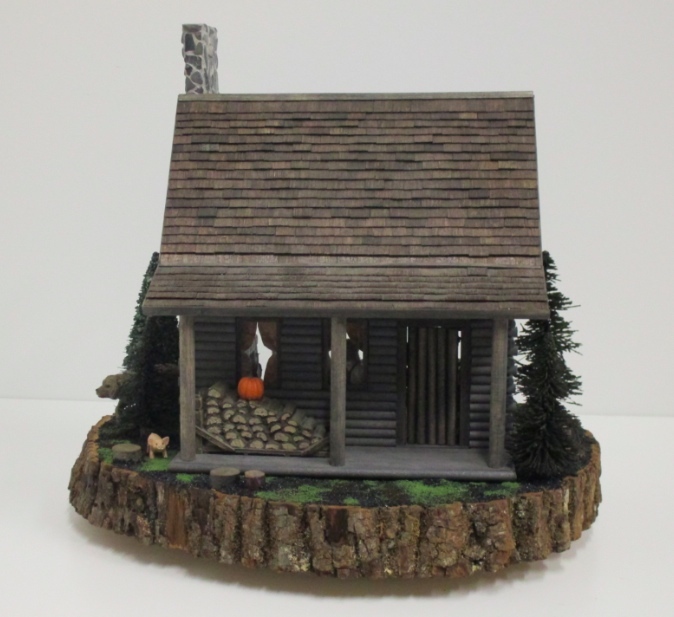 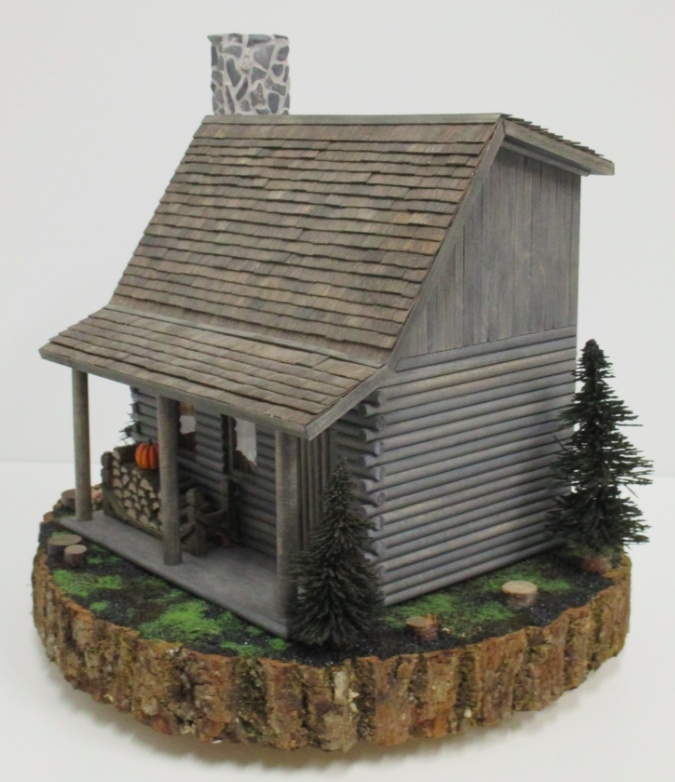 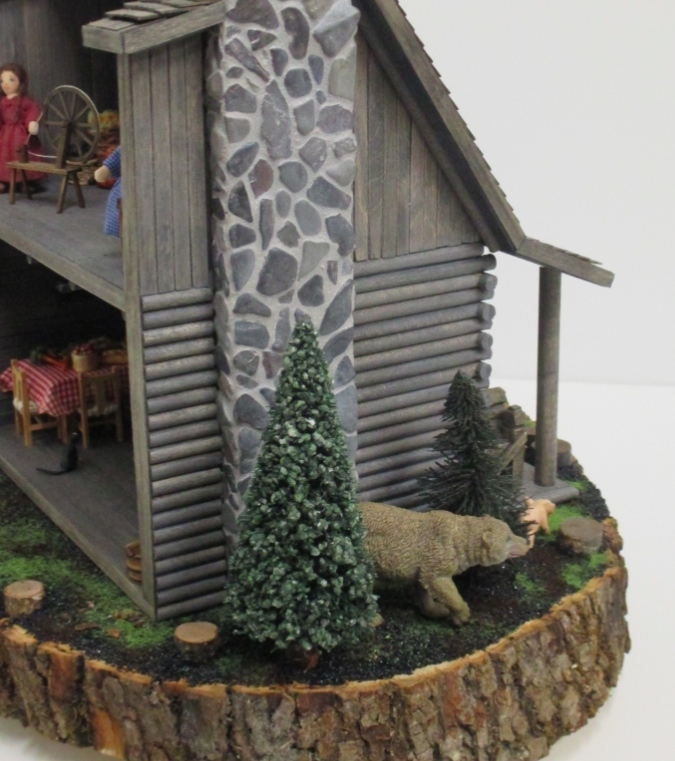 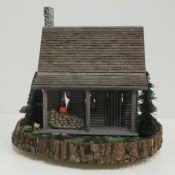 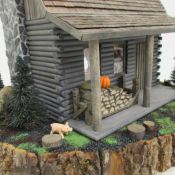 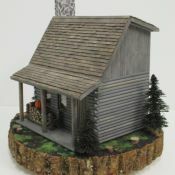 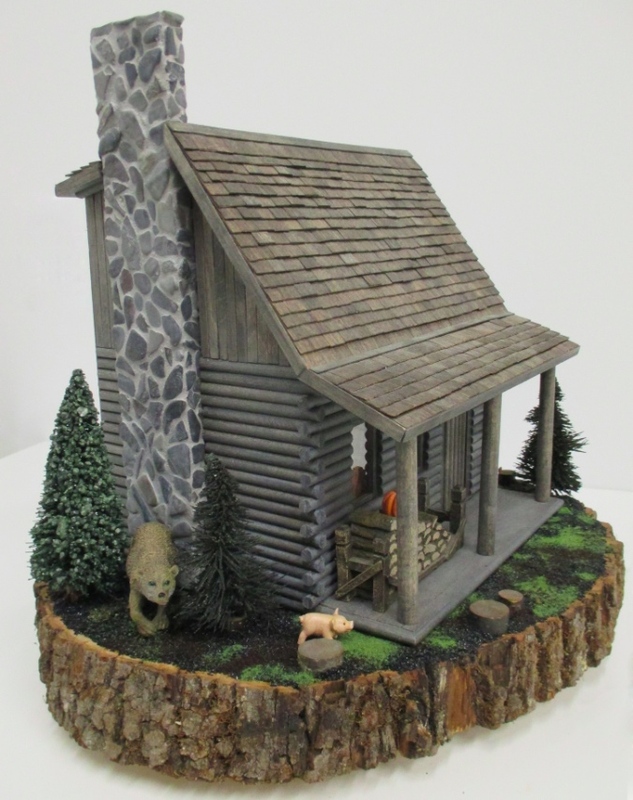 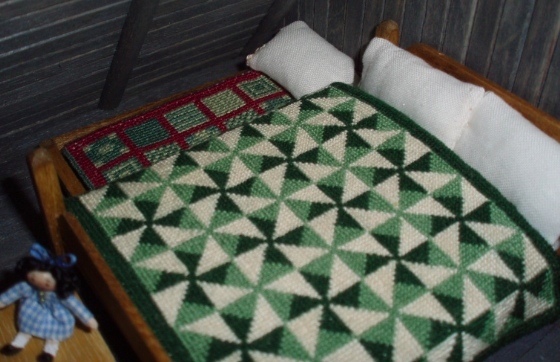 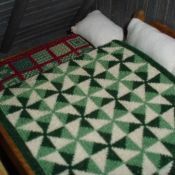 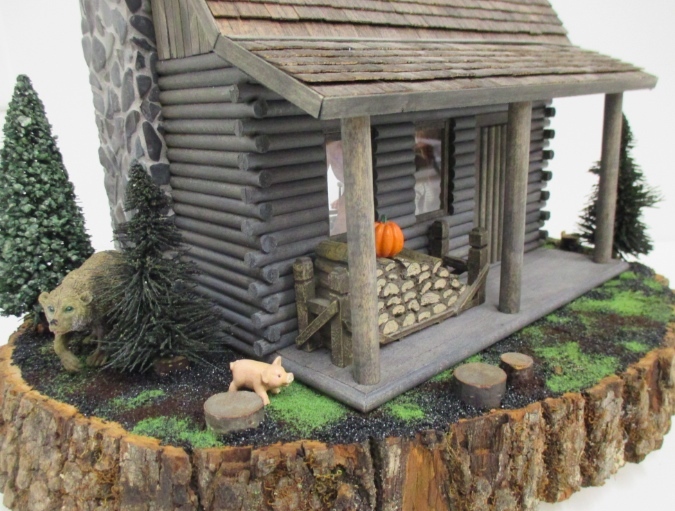 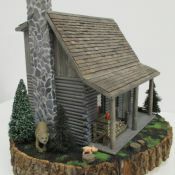 The kit is a “Sugar and Spice” log cabin kit that I bought off eBay. 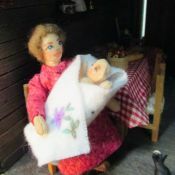 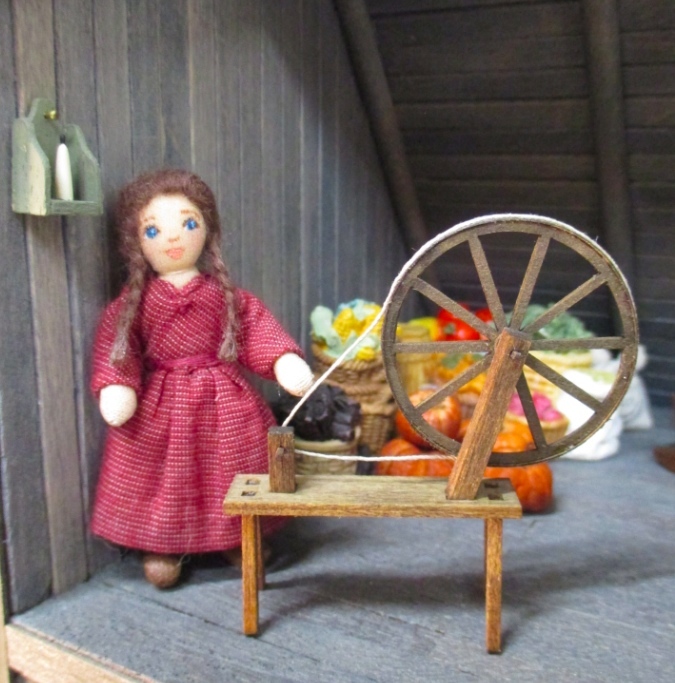 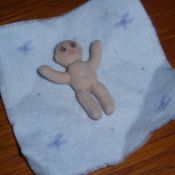 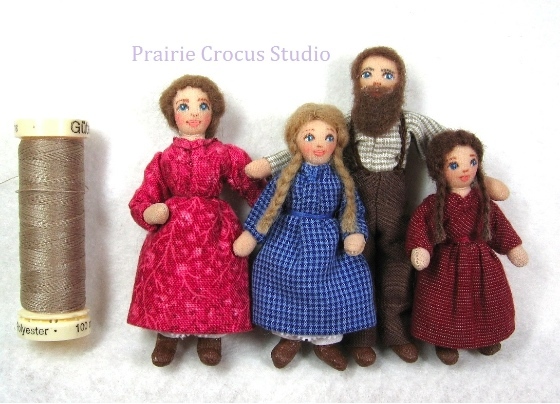 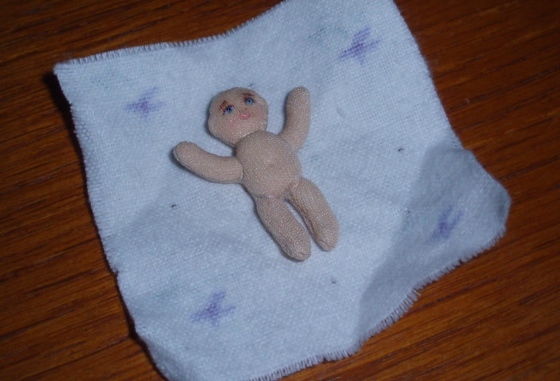 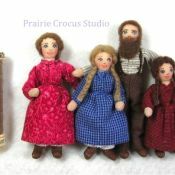 The dolls were made to order by Prairie Crocus Studio on Etsy. 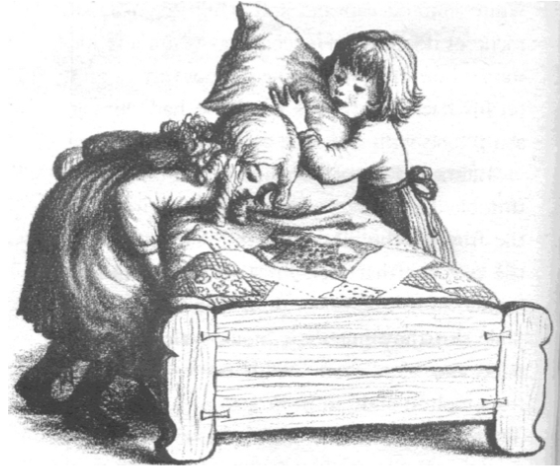 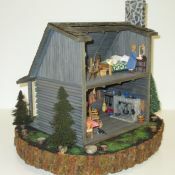 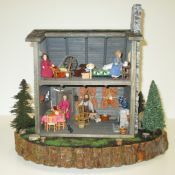 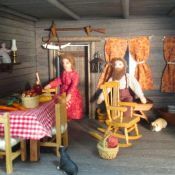 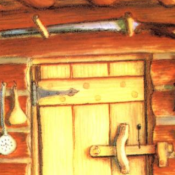 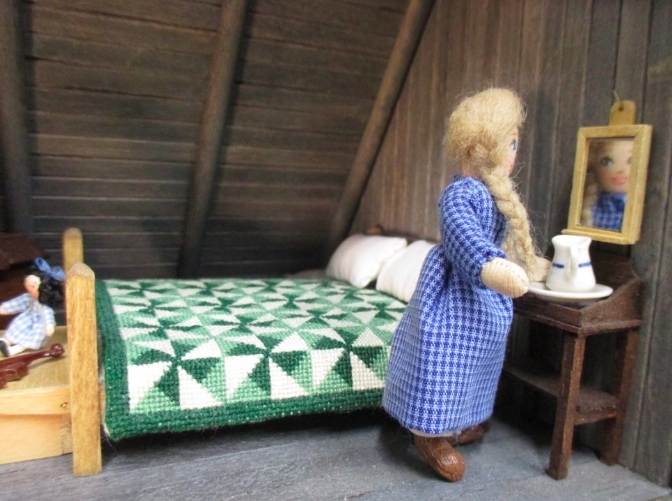 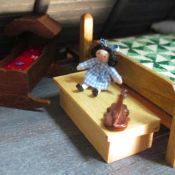 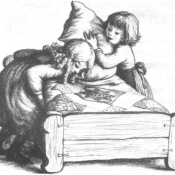 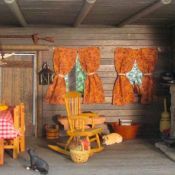 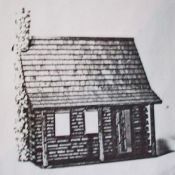 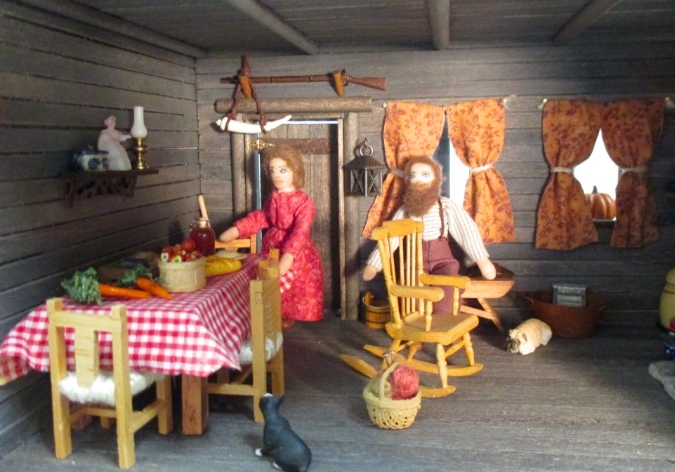 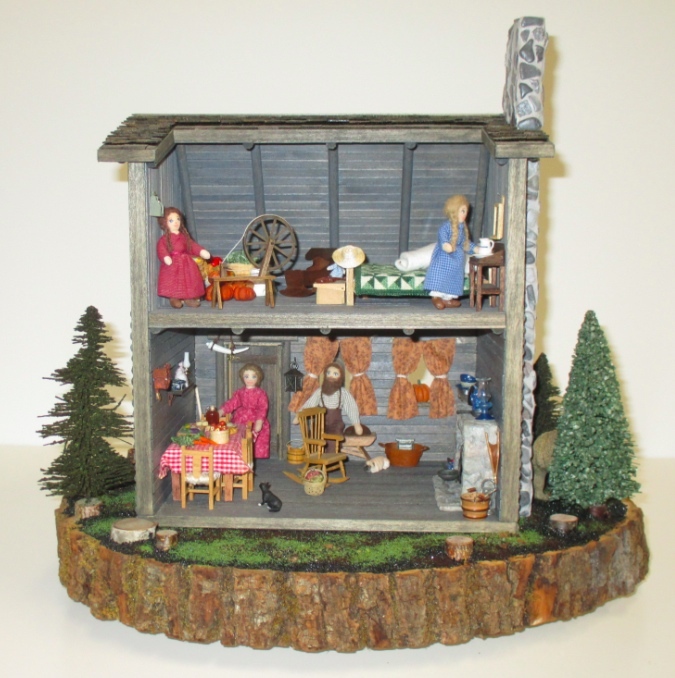 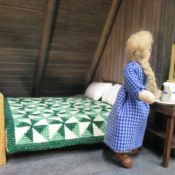 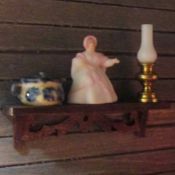 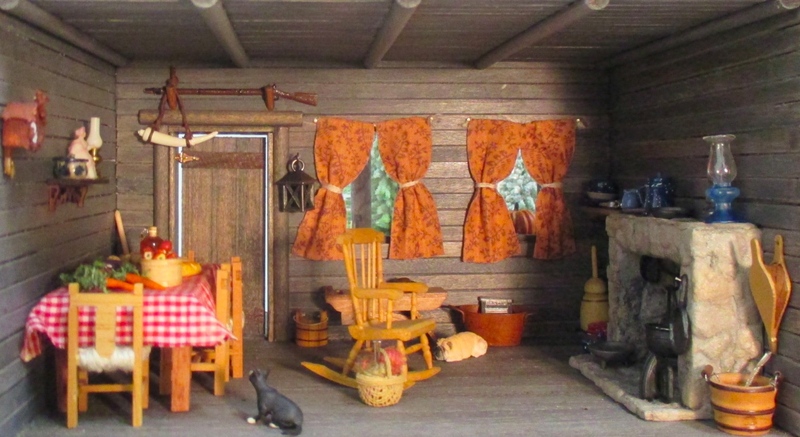 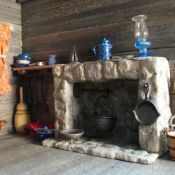 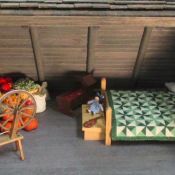 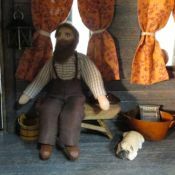 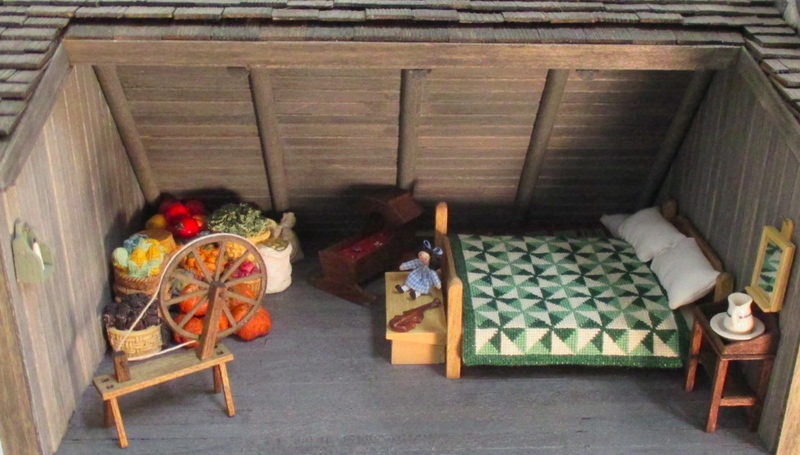 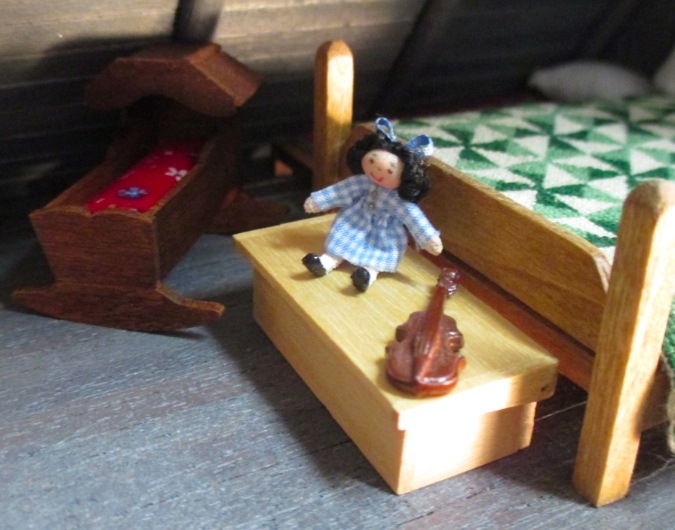 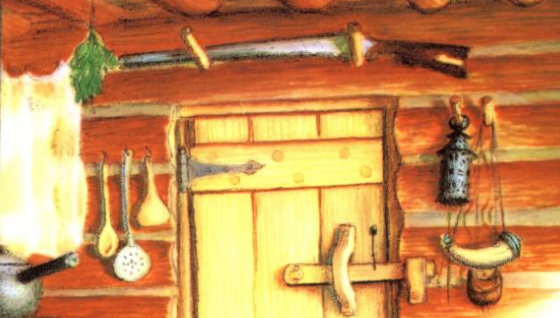 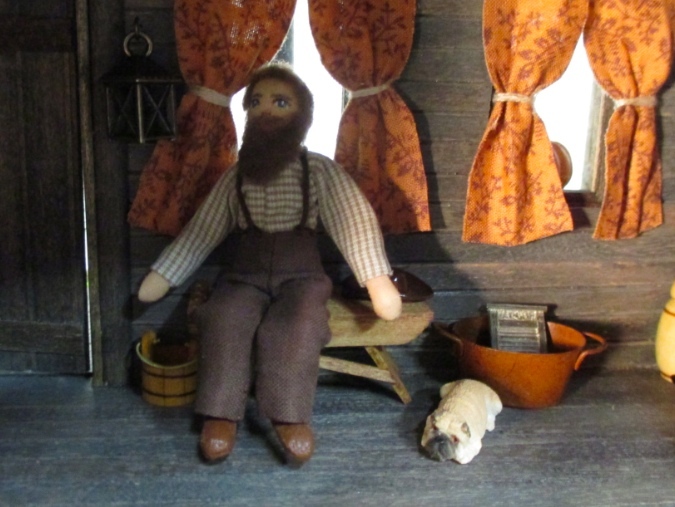 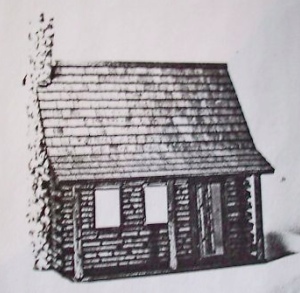 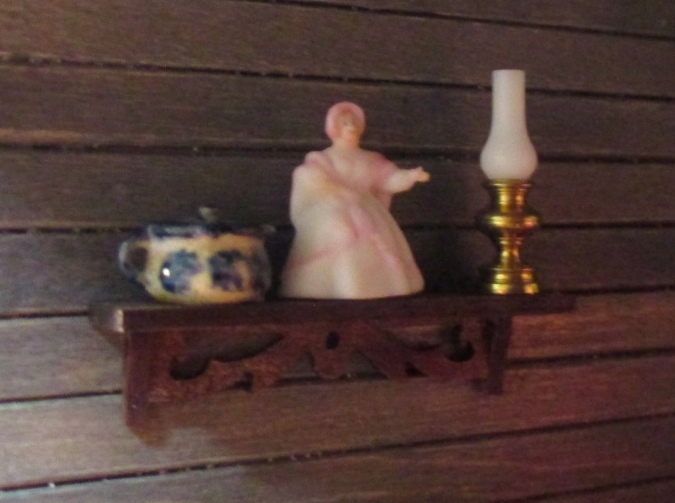 Read about the Little House Cabin dollhouse on my blog.